The corporate world is changing rapidly, and as a corporate event catering company, Decadent Catering is keeping up with those changes. Corporate events are now used to launch products, market brands and show gratitude to clients and employees. To do this effectively, employ a corporate event catering company to help with every aspect of your important business event. Decadent Catering is a full service catering company serving Toronto and the GTA and specializes in corporate event catering. At Decadent Catering, we want to support you in your business endeavors by ensuring your products and services are marketed at the very best events possible. Pulling together a corporate event in today’s climate is much different than it used to be. 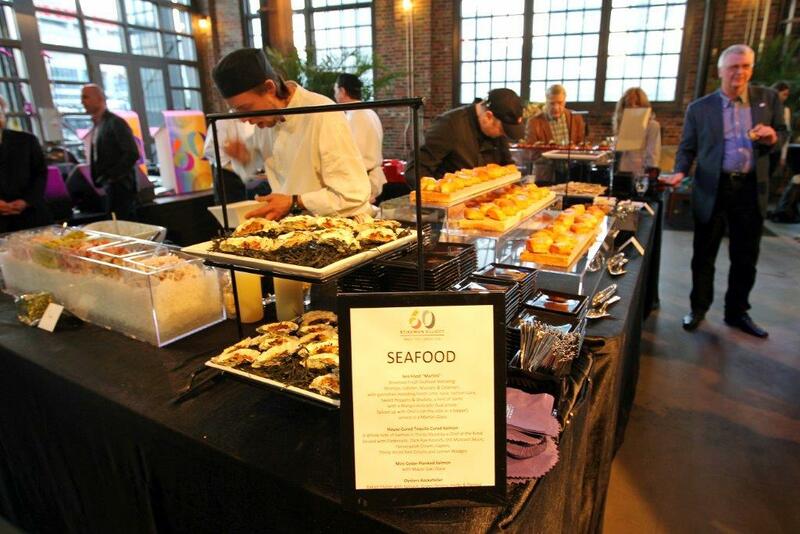 From food to multimedia and servers to venues, a corporate event is a big deal. Decadent Catering has a dedicated team of planners to help our business customers sort through what they want in their event and to offer advice that will put their event over the top by impressing customers and selling or launching products. By hiring a corporate event catering company vs. planning your own corporate event, you are showing your clients and staff that you are top-notch, serious and thankful for their business and service. Your company’s good name is on our minds when we plan for your event and we will not disappoint. We serve the freshest food, ensure each facet of the event is well-organized and seamless, and provide full, professional service throughout the event to allow you to mingle with your clients, doing what you do best. Without a corporate event catering company, a corporate event of any size will be missing the professional touch that is so important in today’s corporate climate. Clients can sometimes be unforgiving so you want to put your best foot forward each time you meet, and especially when you host. Decadent Catering takes this responsibility seriously and will not only achieve your goals and expectations, but surpass them. Our long term relationships with our valued clients in Toronto and the GTA have lasted over 15 years, with excellent service, high quality and great value. We look forward to many more years of supporting great corporate events in the future.